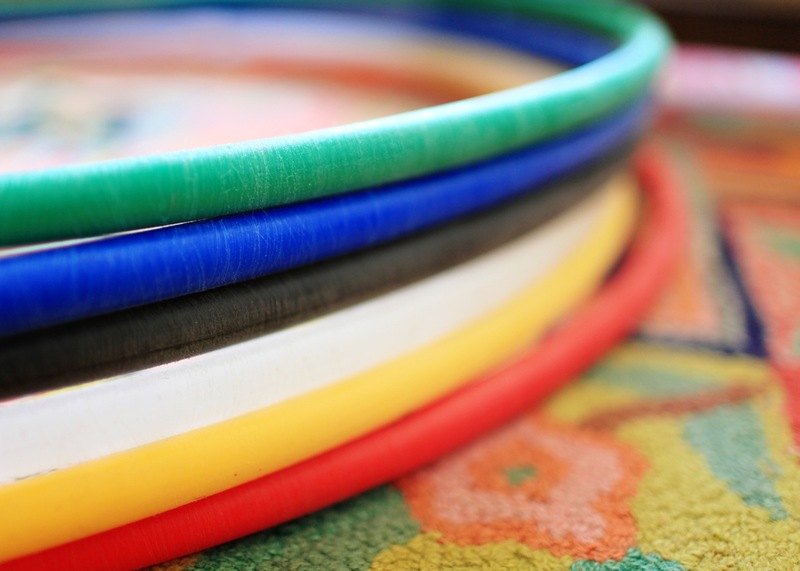 I recently received a big ‘ol box of rainbow on my doorstep…rainbow polypro hoops that is! Lara at Superhooper sent them to me to try out and I couldn’t be more thrilled with them. I think I may be in love. Seriously. These hoops feel SO NICE. Nice to touch. Nice to spin. Nice nice nice. If you’re still wondering if you should “go polypro”…check out Lara’s info here. You can buy the rainbow colors here. At the time of this post, they are on sale! However, you might want to wait because we are going to be doing a giveaway for an entire prism pack (38″ and under)…woooooo!! That’s a $229 value! Stay tuned for the announcement in the next couple of days. Thanks again Lara…for the hoops and for all you do for the hooping community! Be sure to check Lara’s Hooping Family Tree Project if you haven’t already! *side note: these are sized at 34″ and have a full sanding (no interior tape). Sara, I am super impressed! You look great in the hoop and you’re having fun (the most important part!). Those poly-pro’s are so pretty, I’ll be taking a look at them. LUCKY!!! I’ve been dying to get my hands on one of these!! I need to get somewhere that I can watch your video…. you’ve got such amazing flow! Wow, Sara!!! You have learned SO MUCH and you are stunning and so playful when you hoop!! I just love watching you hoop! Great video. You’re radiant, Sara! yeH! I love when you post videos! It was just 9 months ago I saw your first video and decided I had to HOOP! I practice at night after the kids are in bed (and I’ve broken a lot of glass along the way too!) Your hooping has transformed so much. I lOVE your flow and look forward to the day I can hook all my tricks up into a flow. For now, I just practice my few tricks and wish for a friend to hoop with. thanks for inspiring me so much over the last 9 months. Hooping make me happy down in my soul. Applying for the rainbow of hoops giveaway. 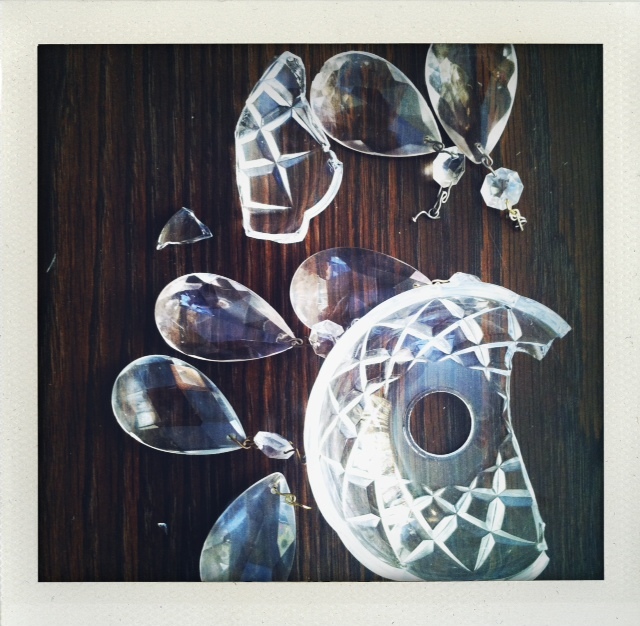 So sorry about your chandelier – you seemed to take it in your usual calm stride. The Rainbow Love video was inspiring – great to feel your flow. My current “trick” reflects the dancing partner quality of a hoop. In the swing of things, I hold the hoop static at waist-level and hand-over-hand go around the outside of the hoop. It takes arm strength to hold the hoop still…and grace to look smooth doing it. Ah, forgot to mention. Winning the hoops will be a special treat – reminding me of hooping as a child in the early 60’s and topping out at waist-hooping 13 at one time. That’s all the hoops we had in the neighborhood. It will be a thrill to hoop with a Prism Pack. Hay I was wondering if u knew where to purchase the colored ppe tubing? Do u know of any tutorials that show how to make them without rivets? Awesome hooping. What is the song on the video? I just love you Sara! What is that song??? such a good one! That in’ightss perfect for what I need. Thanks! what is this song? i love it! very nice flow mama! So, I just wanted to say that I love how much fun you have hooping, and that’s what first inspired me to pick the hoop up!! I’d always seen girls at festivals hooping, but thought I couldn’t do it or that maybe it wasn’t for me, and then I saw your first hoop video. And it inspired me because you were having so much fun, so I bought a hoop and have been doing it since(except in the winter since I don’t have indoor space to do it). Anyways, it’s so much fun and I never, ever thought I’d love it so much, but I do! And it’s helped me get through some tough times this past year. I’ve found healing through hooping. 🙂 So thanks for being you and sharing and inspiring! Now I really want to try polypro! Ha! My oldest tiny girl wants to be a hooper, too. She watches your hooping videos and loves them so much. AND, she did a similar thing to a very similar chandelier recently. I’m not going to tell her that! She’ll never let the ‘in the house’ wildness end!